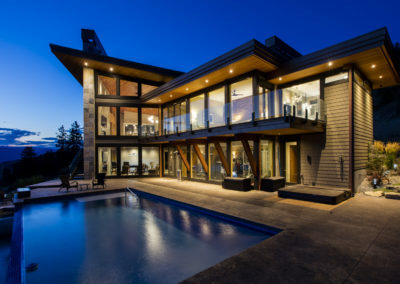 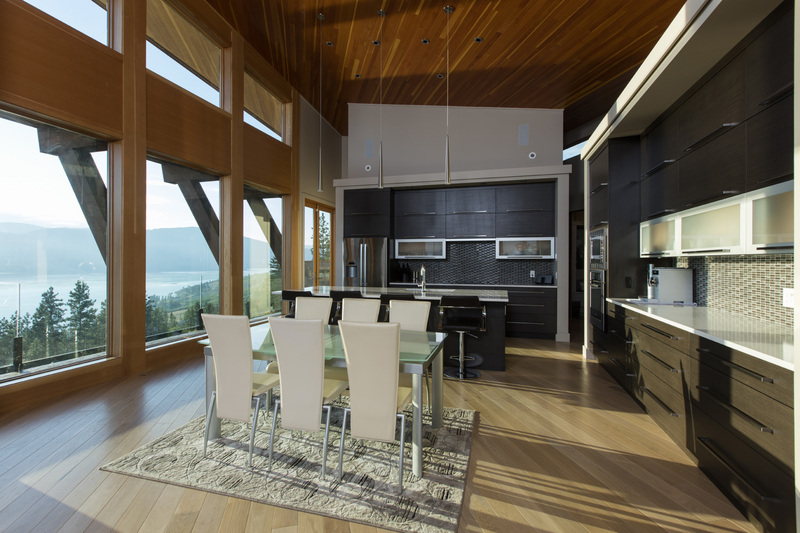 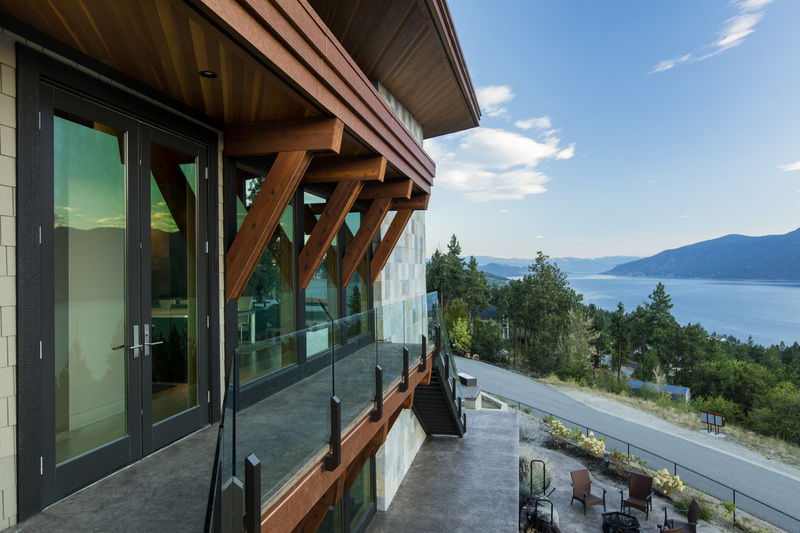 This extraordinary home, sculpted into the Okanagan mountainside, delivers gorgeous views and impressive architecture. 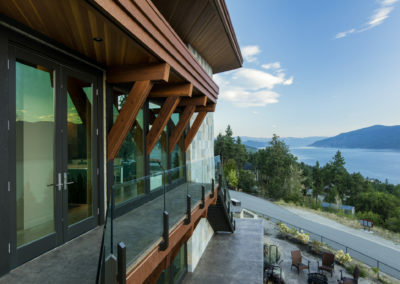 The site dictated much of the design, allowing for unique angles that take advantage of the phenomenal vistas. 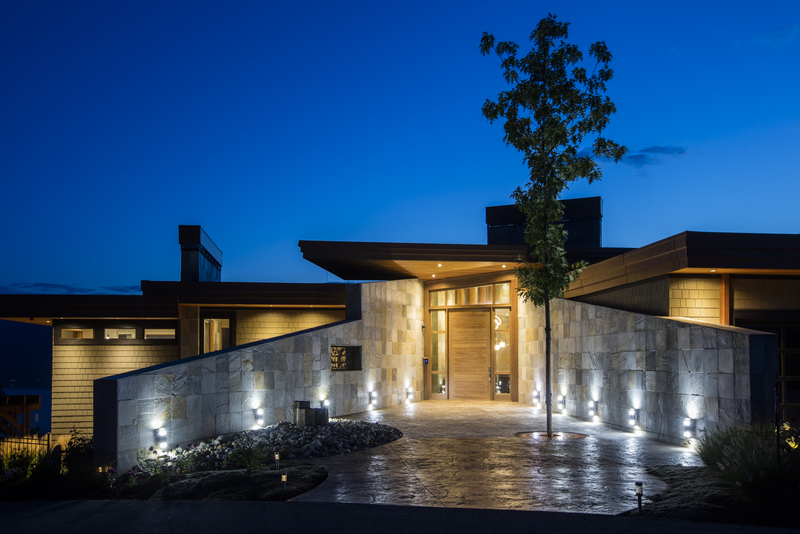 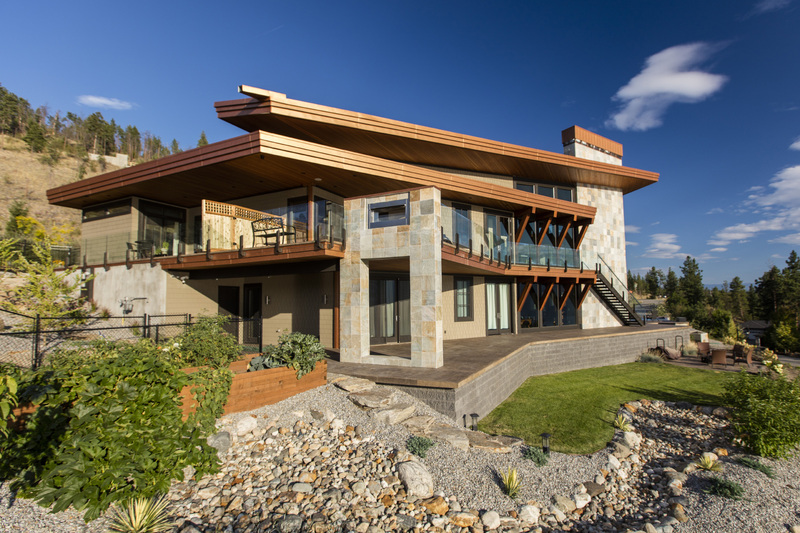 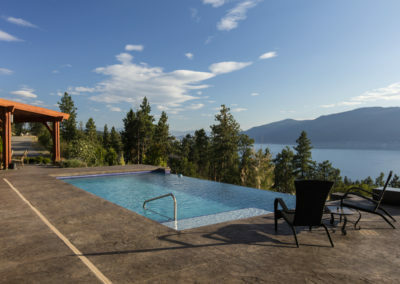 The expansive exterior of this home is finished with Okanagan materials, including stone, timber, and 16x16′ quartzite tiles. 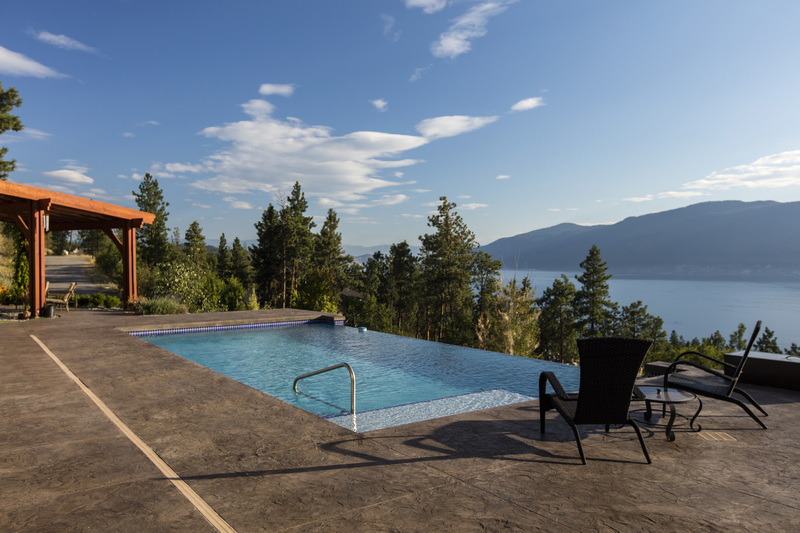 Outdoor entertaining is effortless with the double-sided fireplace, spacious deck, and pool. 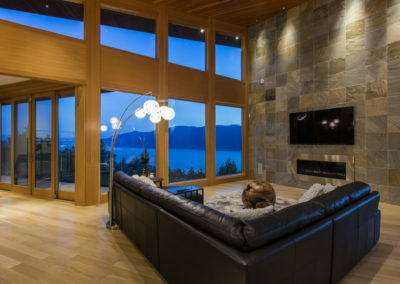 The interior of this home holds modern details with cozy finishings. 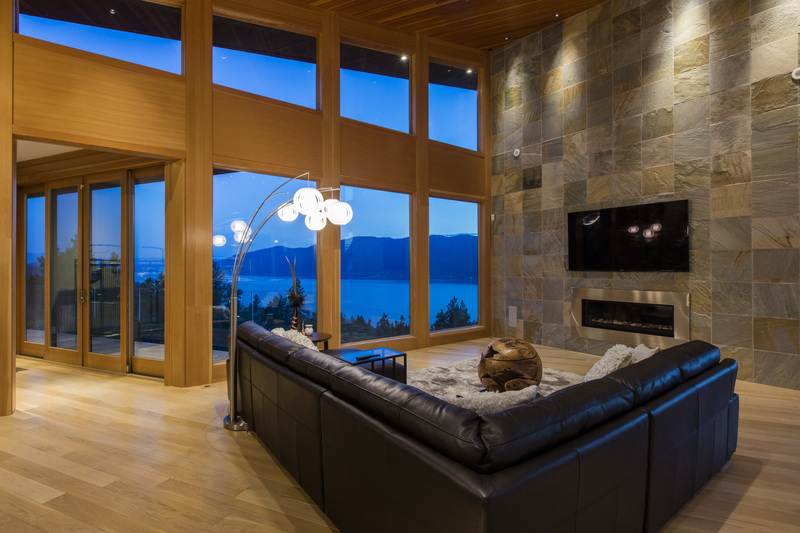 The warm fir wood ceiling runs throughout and the large windows allow for panoramic views in each room, as well as plenty of natural light. 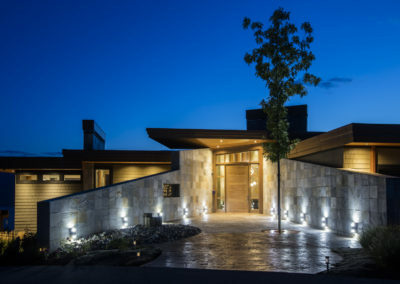 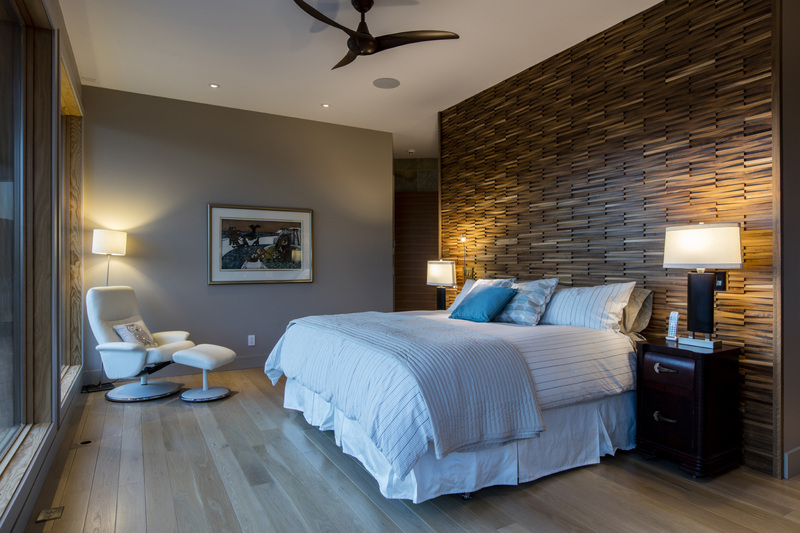 This contemporary home also features a two-story garage, with a workshop in the basement. 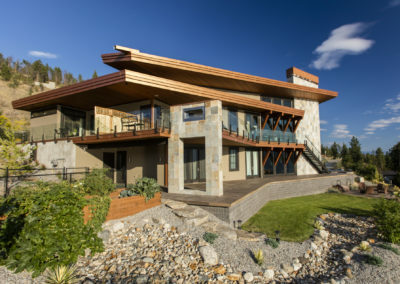 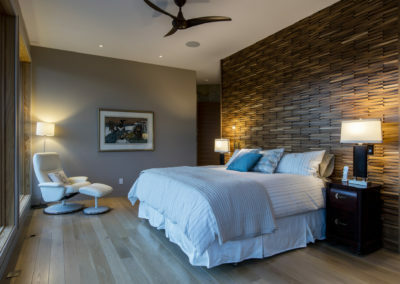 Apchin Design Corp. designed our new home for my wife and I. Denis met every need that we could ever imagine, incorporating all of our wishes and more by adding the professional touches that we would never have thought of; from the positioning of the structure to the placement of the lighting everything worked out perfectly. 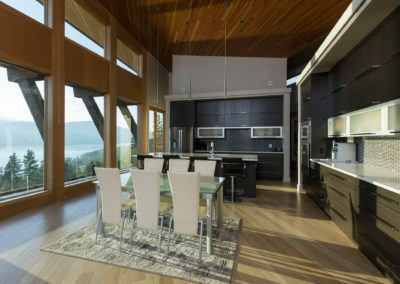 His timely efforts and excellent design skills were greatly appreciated.